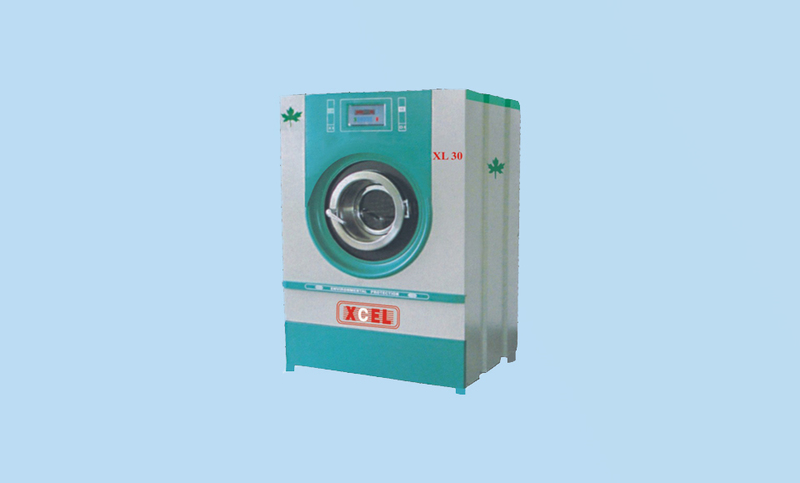 "Space saving, High efficiency, Water less floor, Steam / electric heated "
XCEL with its continuous innovation, strong R&D introduces one of its kind three in one washer / extractor / dryer for all types of laundry. CNC embossed perforations for better fluid circulation. Auto timed, Auto temperature Sensor, Digital temperature Indicator. Instant drain & filling thru manual valves. Auto operation of water, steam & drain are available as optional. Thermally insulated with blanket wool to prevent heat loss maintain uniform temperature. Moisture evacuation is through balanced centrifugal high suction blower directly mounted on motor for optimum efficiency & silent operation.